Urban Decay Eyeshadow Duo's are due to be released shortly so let me tease you with this quick post. We all like a good, wearable day to night time shadow so these are going to be sell-outs I guarantee it. Sin & Mushroom // Sin is a champagne shimmer & Mushroom is a shimmery grey with warm undertones. X & Half Baked // X is a peach shimmer with a gold undertone & Half Baked is a golden bronze shimmer. What'cha think? lovely eh. I really like both of these and would absolutely wear this day-in-day-out. 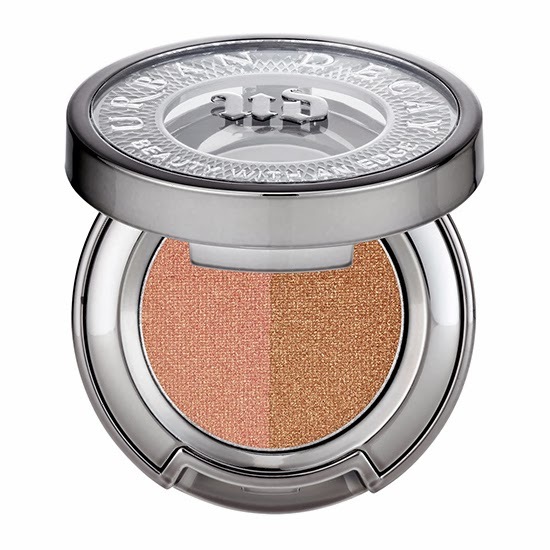 Once they're launched you should be able to pick these up on the Urban Decay website here or House of Fraser here.